We want to see every country in the world, so that includes going to some countries that most people I know haven’t been to, or could point out on a map. That for some reason intrigues me more to go there, so of course I booked a trip to go to Bulgaria & Romania for a long weekend…that happend to fall on our 6th wedding anniversary. I wanted to make sure of one thing on this trip and that was it ended up better than Poland, which was also the weekend of Annemaries’ birthday. I was determined not to let that happen again, and I think we made out alright. Another trip, another new airline. This time we flew TAROM, the national airline of Romania. Not bad, the most posture perfect seats I’ve ever sat in, which really aren’t that comfortable, but ok. They also had an interesting meal service, in that the meal was actually wrapped in a serving mat, genius, and came with a bag to put everything in when you’re done for easier cleanup. Not sure why every airline doesn’t do this, but I guess everyone has to be different. So we were off to Romania. We land in Bucharest, go through the 21 questions at immigration, and find a taxi…which one again we got ripped off by. I won’t get into the story, but Annemarie was right, I was wrong, and once again we got ripped off by a cab driver. It seems pretty par for the course nowadays, but I never seem to get around it. At least it was the only hiccup of the trip. We made our way to the hotel, Hotel Christina, right outside the city center. The rooms had some unique touches such as craftmatic adjustable beds, and sensors on the shower head to let you know if the water was cold or hot. They also had a pretty good restaurant there, and was uber cheap. I said the Baltics were cheap in an earlier post, but this made the Baltics seem like staying at the Ritz. We had 4 course meals for it was incredible. Again, meat is a staple of all meals in Romania, but we didn’t care. 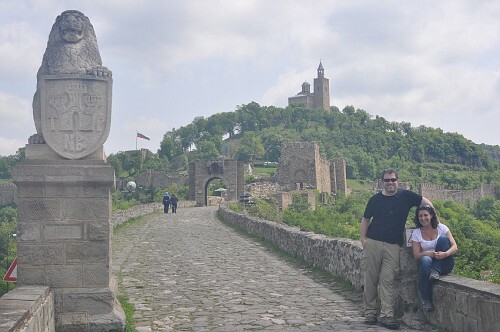 So we called it a night, seeing our driver was picking us up early to take us down to Veliko Turnovo, Bulgaria. 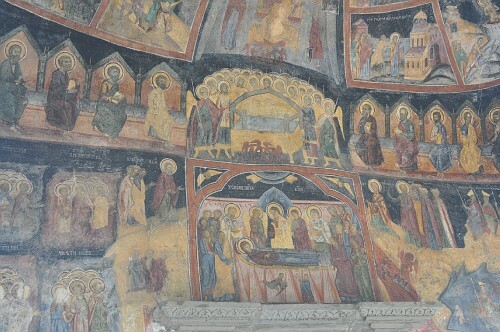 This little town, which used to be the capital during the Byzantine Empire, was about 3 hours away from Bucharest. Again, not that much to see between the two towns, except an interesting border crossing where if weren’t with a driver, not sure if we could’ve managed. That being said, we got across ok, and headed down into Bulgaria. The town is quite small, with this fortress overlooking it from all angles. This fortress is massive, and had been around for about 600 years. 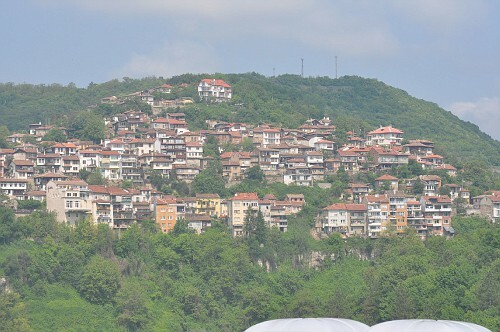 Bulgaria at one time was the largest country in Europe, and this was the capital. Nowadays, most people can’t point out Bulgaria on a map and it’s one of the smaller, and less established countries in Europe. We spent some time walking around and checking out the views, as this town is right in the middle of a valley. It was pretty incredible, and I think we were the only English speaking people around, as I don’t think this is on the top 10 of anyone’s travel list from the states, but it is quite the destination for people in the Balkans. We had some time to walk around town as well, which again, wasn’t big, but had quite a few places to eat. Bringing up cheap again, this town was half the cost of Bucharest. Annemarie & I had two small pizza’s, two beers, and an appetizer for The pizzas were the size of small pizzas you’d order in the States, so this was a ton of food as shown below. I couldn’t believe how cheap this stuff was. The beer is actually a half liter as well, so really it’s two beers in one. Let’s just say we left full and felt we ate & drank for free. We couldn’t find the house! 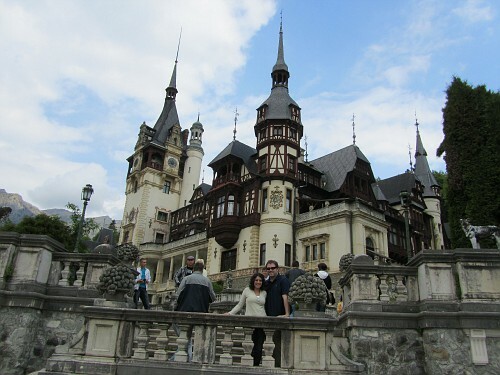 We headed back to the hotel, and then headed out to a local restaurant in Bucharest before we crashed for the night. The restaurant was Vatra, and was excellent. The only thing we found strange was it wasn’t that busy at 9pm on Friday night, but then we forgot it’s a Romanian restaurant, and mostly non-locals would go there. It was good none the less, and way too much food. We called it a night to get ready for our day trip up to Brasov. Woke up early, grabbed breakfast, and out the door again for a 2 hour drive up to Brasov. This town was perfect, and right up our alley. It reminded us of Krakow and many other cities, as you’ll see from pictures. We took a tour around the city, and had some lunch before we headed off to see the castles. I’ll just post pictures to describe the places as I can’t do them justice. 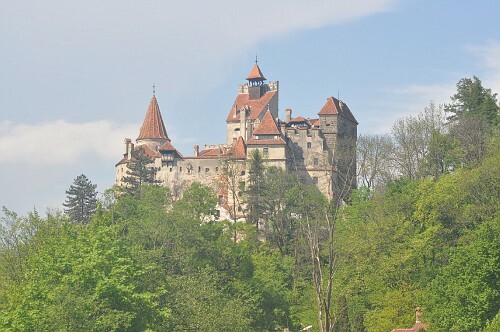 We did see Bran Castle, which most people know as Dracula’s Castle, even though Dracula has nothing to do with it. It’s a complete tourist trap, but still a sight to see. 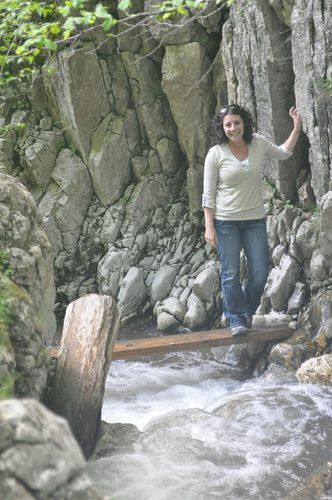 The area up there is picturesque like no other that we’ve seen, and was totally unexpected. 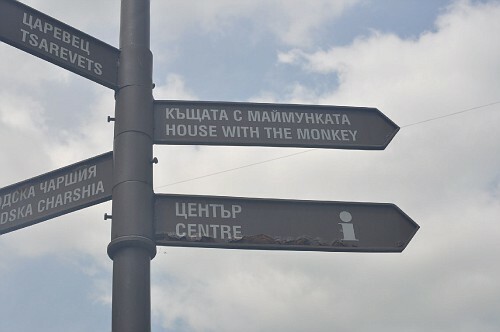 We saw some great sights in the area that most wouldn’t see as our driver was actually from Rusnov, which is the town next to Brasov and knew where everything was. We even stopped by a dirtbike race, that ended up being the practice round for the Romanian Autocross Championships. All in all, the trip was great and exceeded our expectations. 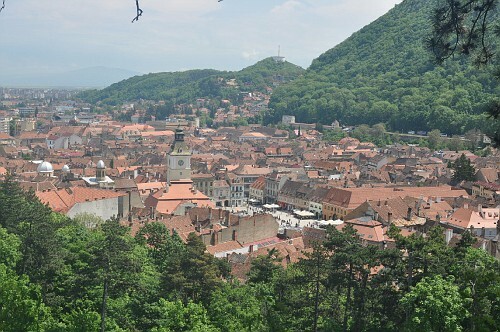 If we had the chance, we would love to visit Brasov again an spend some time in northern Romania. The food, the wine and the people all made the experience great. I’ve been reading your posts and I think it’s really cool that you went to places where most people don’t/won’t go. I learned that you’re going to South America in the near future. Will Salar de Uyuni in Bolivia be one of the places that you’re going to visit? Actually no. We traded Bolivia for Mendoza, Argentina on our next trip. We would need a few more days than planned to really see the Bolivia we wanted to see. « Easter weekend in the Baltics…and passing #40!